Q: How old do I need to be to drive on the road? A: As a rule you can ride a moped from 16, subject to completing compulsory basic training (CBT) and hold a provisional licence. You can apply for a provisional licence up to 3 months before your 16th birthday. You can usually drive a car, from your 17th birthday, subject to having a provisional licence. You can apply for your licence up to 3 months before your 17th birthday. The earliest that you can take your theory test is your 17th birthday. Q: How do I apply for my provisional licence? A: Before you can learn to drive a car, moped or motorcycle you must apply for a provisional driving licence. If you already hold a valid full driving licence and want to learn to drive larger vehicles, minibuses or buses you will need to apply for provisional entitlement for these vehicles. 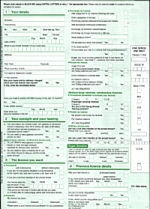 DVLA aims to deliver your driving licence to you within three weeks of receiving your application. It will take longer if your health or personal details have to be checked. If you don’t want to send your identification through the post, then you can apply for your licence in person at a Post Office using their premium checking service. For a small charge staff at the Post Office will check your application and ID while you wait, return your ID to you and then have the application sent to the DVLA. main differences being a laser engraved black and white photograph.